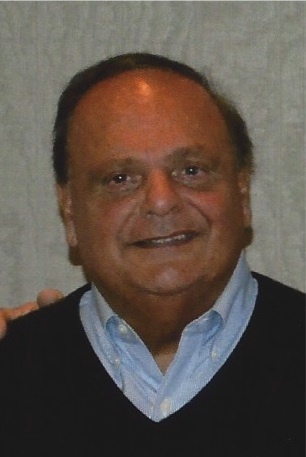 ROMANO: Michael P. Romano, Jr. 70, of Niantic, entered eternal life on April 3, 2019 in the company of his loving sons. He was born May 27, 1948 in New London the son of the late Michael and Anna (Gencarelli) Romano, Sr. He attended local schools in New London, and graduated from St. Bernard High School, class of 1966. He married the love of his life, the former Karen Daniels on March. 15, 1975 at St. Joseph Church, Karen died on Sept. 10, 2018. Family and friends were a big part of Michael’s life. Sunday dinners and holiday gatherings were the family times he cherished the most. He stayed in contact with his friends going back to elementary school, high school and beyond; those bonds were most evident over the past few years when taking care of his wife during her illness and during the last days of his life. 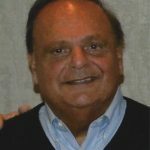 Mr. Romano worked at both Fedrick’s Men’s store in New London and the Villager Men’s store in Niantic before going into business on his own. He opened Michael’s Bridal in Niantic and Westerly, RI. Prior to Sir Tux of Groton, which he owned and operated for 30 plus years, before retiring at the age of 62. He took a lot of pride in his business; many folks in the local communities were the benefit of his attention to detail and high standards. He was a good businessman, doing what was right, taking care of those who took care of him and donating to schools and organizations in the local communities. Sir tux was a unique place, there was plenty of sports talk surrounding New York Giants Football, New York Yankees, and the Philadelphia 76ers and many laughs. Mike was a great classic car enthusiast, especially for the Ford Mustang owning many through out his life and attending classic car show with his grandchildren and family. He volunteered his time coaching East Lyme Youth Football, Baseball, and Basketball for more than 10 years, as well as coaching football for several seasons at both East Lyme and New London High Schools. Sports and coaching were both passions in his life, helping develop young athletes and teaching the fundamentals of the games he loved. He received great enjoyment watching kids grow from youth sports to high school and beyond. Family and friends are asked to gather, for a Mass of Christian Burial on Saturday at 10 am at Saint Joseph Church in New London. Entombment to follow in St. Mary cemetery Mausoleum. There are no public visiting’s hours.